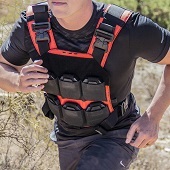 Currently the lightest weight Level III+ Ballistic Steel Core Body Armor in the world! I’m new to body armor; been shooting for 3+ decades but only recently decided it was time to invest in some real ppe. After a year of research as to what type & brand of plates & carrierwould best suit my needs & budget I decided on the 10x12 AR500 level III+ ALSC with buildup coat for my front plate & the flat plate w/o buildup for my back plate. I chose a Shellback Banshee Rifle in multicam for my pc. I am very, very pleased with all of my decisions. The AR500 plates are of very high quality & once donned much more comfortable than I ever anticipated. The Banshee is exactly what I wanted as well, very easy to don & doff. Double stitched & built in the USA. One final point; a few weeks after I placed my order I called to see what the wait time was looking to be. When I ordered the estimate was 4-6 weeks so I knew I still had a few more weeks to go. The service rep was extremely friendly & helpful; he gave me an estimate of when my order would arrive & sure enough I received them exactly when he said I would. Although I haven’t had any issues I have a feeling AR500 would take good care of me if I did. I chose AR500 plates over HDPE plates because I didn't want to spend my nights driving a car with an inch between my lower back and the seat. Additionally, I will only need to buy one set of steel plates to last me through the rest of my career, while other types of armor have 5-7 shelf lives. 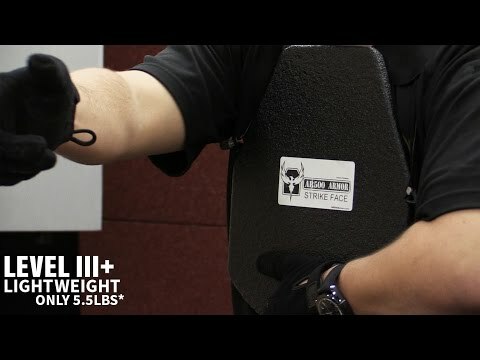 Review from Josh K. Review by Josh K.
You're reviewing: AR500 Armor® Level III+ Lightweight ALSC Body Armor 10" x 12"